LeEco, formerly known as Letv, is a global pioneering internet and technology company with multiple internet ecosystems across content, devices, applications and platforms. The newly launched technological company in India, LeEco has now partnered with the luxury sports car brand Aston Martin to develop a production version of the Aston Martin RapidE electric vehicle concept. LeEco would be closely working to develop the first electronic car that will be based on Aston’s Rapid S model, thereby adding a range of next-generation connected electric vehicles on behalf of LeEco, Aston Martin, and Faraday Future. 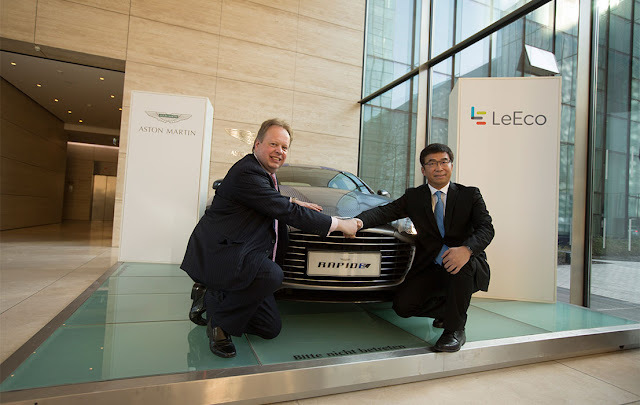 Recently, in January 2016 the company also revealed the initial results of their partnership with Aston Martin by incorporating LeEco internet of the vehicle system in Rapide S. Providing consumers with the most innovative products that offer best in class experiences, LeEco also have their plans for launching a range of new electric vehicles during the second half of the decade.